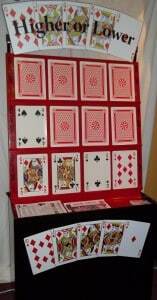 The classic Bruce Forsyth favourite Play Your Cards Right, where you guess whether the next card will be higher or lower than the previous, turn it over to see if you are right. Will you be able to get the Brucey Bonus? 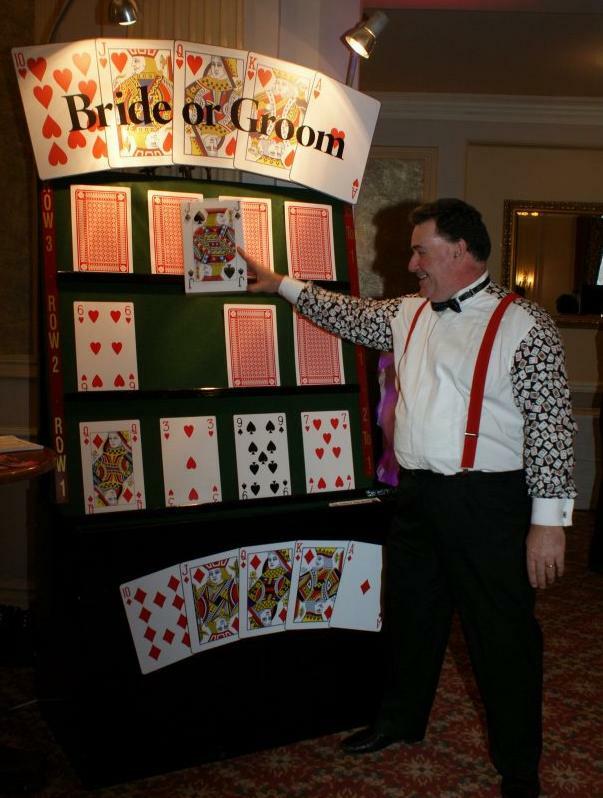 This fast and easy to play game is a brilliant crowd puller for Casino Evenings and Charity Events. 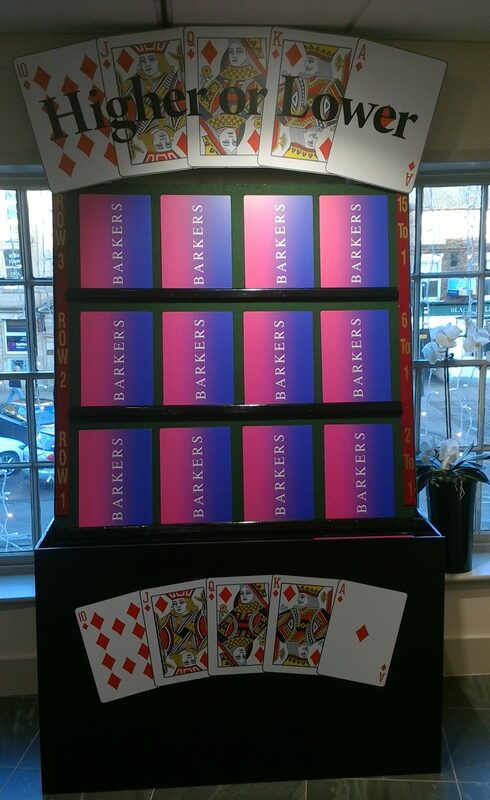 It is also great for Trade Exhibition stands, as cards can be branded and made bespoke to your event and company, offering great brand exposure in a very fun and entertaining way! 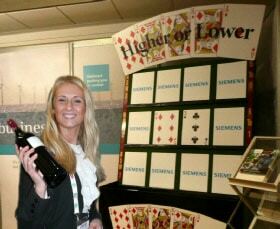 Higher or Lower has been proven many times to increase footfall onto Expo stands.